In recent decades, energy research has mainly focused on capturing power from renewable sources and making our existing electric infrastructure as efficient as possible. Energy storage solutions are vital to both areas of research and it needs further technological development to achieve future thrust on renewable energy. When the wind is blowing or the sun is shining, the electricity that is produced must be either used or lost. On the other hand, when it is cloudy or the wind is not blowing, power may not be available to meet demand. Energy storage addresses this problem by capturing excess energy during productive times and releasing it during leaner times. Many existing energy storage techniques are very expensive or not ready for the market. Now, a Norwegian start-up ‘EnergyNest’ has a new solution to solve the issue of energy storage, its new technique is getting appreciation around the world. EnergyNest is the world leader in modular solid-state TES systems. It has developed a new Thermal Energy Storage (TES) solution with game-changing economics. It’s a ‘Smart Concrete Modules’ for renewable energies and energy intensive industries. A single module, holding in a 40 foot standard container, provides a capacity of power generation of up to 2 megawatts thermal hours. 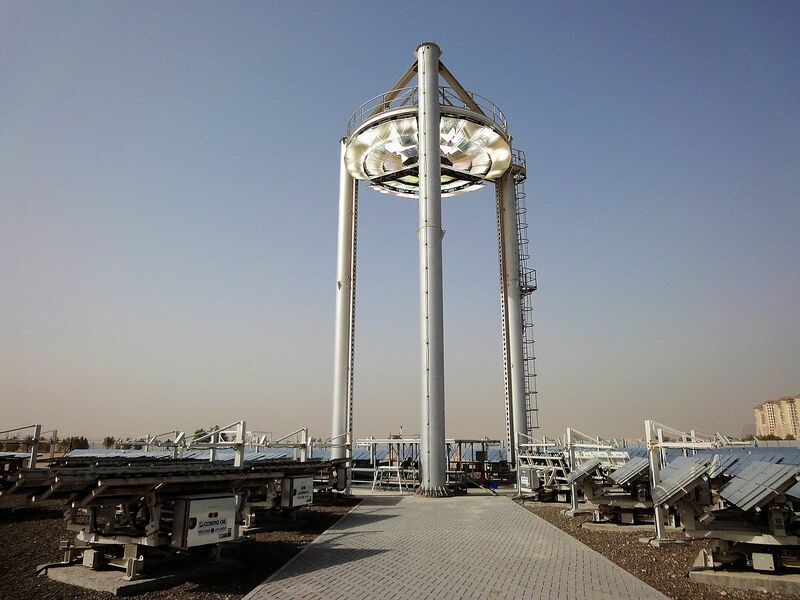 Thanks to its modular structure, the system can be expanded to reach a scale of around gigawatt hour. TES system is comprised of universally available materials that can sustain high levels of local content and fabrication. The scalability and versatility of EnergyNest's TES solutions, especially the ability to operate at moderate temperature levels (100-250°C), could open up a range of new applications for TES solutions. 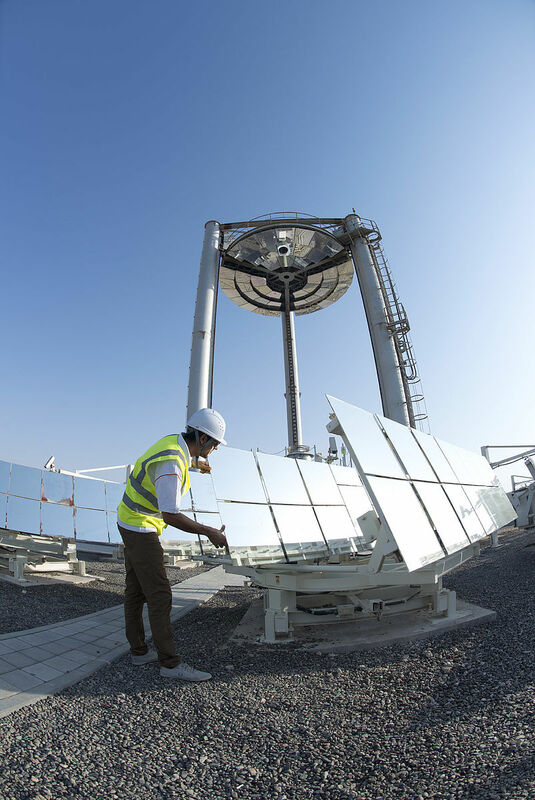 The customised TES solutions can apply to various power and energy applications including Concentrated Solar Power (CSP), Waste Heat to Power (WHP), Power to Heat (P2H) and electric-thermal energy storage for wind energy and other variable renewable. The TES solution is significantly cheaper than the conventional energy storage technologies. At about 20 to 25 dollars per kilowatt hour, it costs only a fraction of the cost of storage by batteries. 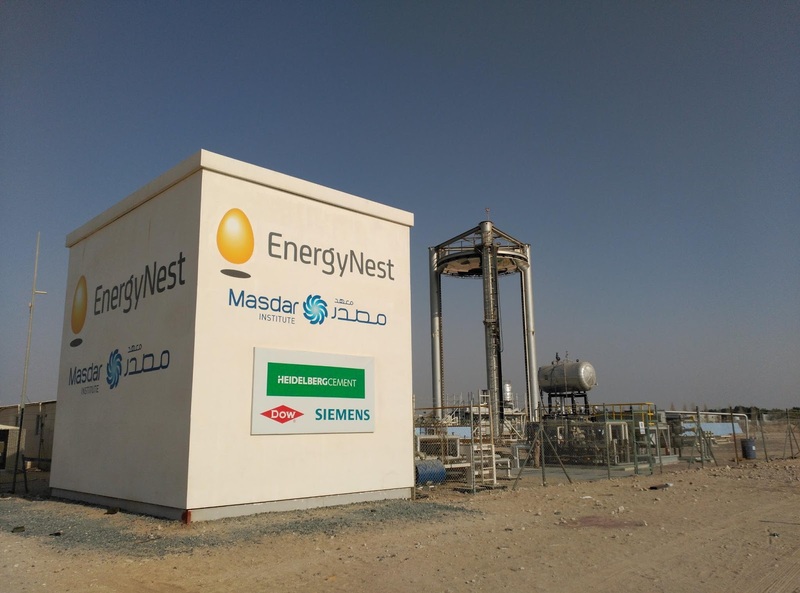 EnergyNest along with German group Heilderberg Cement has developed a secret special concrete blend for the modules. This concrete can store large amount of heat with very low losses. 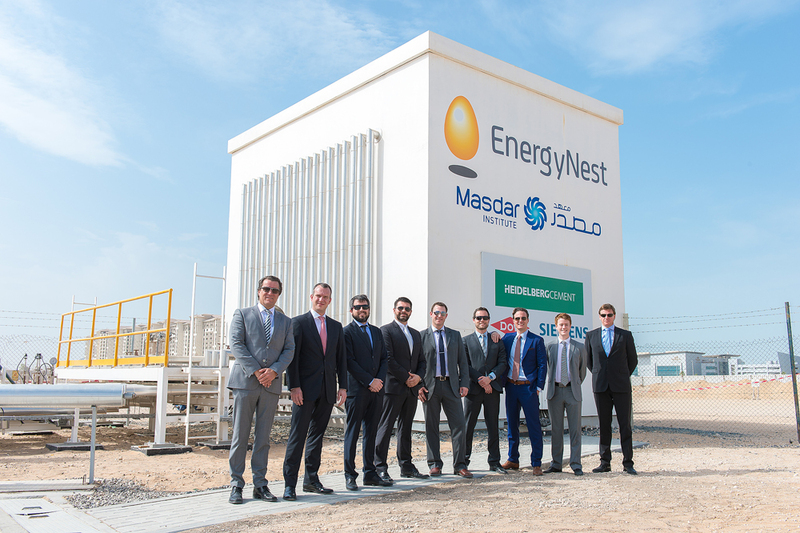 Recently Masdar Institute of Science and Technology and EnergyNest initiated a comprehensive joint research project in 2013 for building and testing a 2 x 500 kWhth Thermal Energy Storage (TES) pilot. The pilot facility is now fully operational and has been validated by DNV GL with regards to operating temperature, energy storage capacity, and energy efficiency.